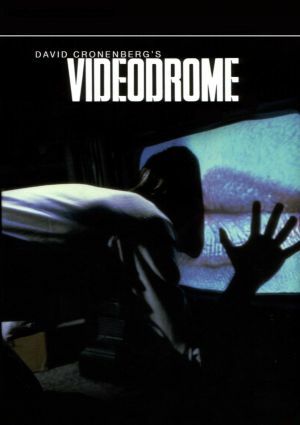 Universal is planning a remake of the thriller/horror/sci-fi film ‘Videodrome’, made famous by David Cronenberg in 1983. Adam Berg will driect the film for Universal Pictures. Berg is mostly known for commercials and music videos. This will be his first feature film. Ehren Kruger penned the script and Daniel Bobker will produce the project. Berg won the Film Grand Prix at the Cannes Lions International Advertising Festival. However, with such an unique film, I think Berg is the wrong choice for this. I don’t even think this film needs to be remade. It’s perfect the way it is. James Woods starred in the original film as the head of a television station. He makes his station relevant by programming Videodrome, a series that depicts torture and murder that transfixes viewers. Universal plans to modernize the film and concept in today’s world. I’m not happy about this. At all. I wonder if they picked Berg to direct because his last name is similar to the original director. The Silence – Film Review! This entry was posted on Wednesday, August 22nd, 2012 at 2:46 pm	and is filed under Film, News. You can follow any responses to this entry through the RSS 2.0 feed. You can skip to the end and leave a response. Pinging is currently not allowed. « Check Out the Poster for Spielberg’s ‘Lincoln’!!! [to Edna, about Tracy] Tracy certainly has redefined our standards.